As a Dilliwallah, I have missed many a times an opportunity to travel, purely because of the lack of exciting options. While most people would consider going away to Shimla, Manali or Nainital as a weekend trip, I consider it to be a complete waste time, money & energy. Don’t take my words to your heart but the state of these places is worse than the fish markets. They are way too overcrowded & commercial to the bone! Really not the kind of weekend getaways near Delhi should be. If you really want to rejuvenate & get revitalize yourself over the weekend & perhaps a day or two off, it would be better staying in a village in the outskirts of these towns. One can grab enough picturesque shots & clean air to get going. My unsatisfied quench recently led me to some places I consider to be better traveling options than the more commercial ones. 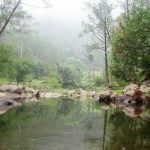 I came across some very interesting options for weekend getaways near Delhi /NCR which are still reminiscent of how hill stations used to be. You might want to take a couple of days off from your work if you really want to enjoy what these quiet towns have got to offer. Of course, Kangojodi the small village en route to Shimla on the Nahan-Shimla highway has its own spectacles to offer. The distance is quite unbeatable for a weekend retreat for Delhi-ites at 275 kms. Before choosing this destination for setting up a nature retreat/offbeat adventure campsite, we traveled long distances & found none as good as this one. 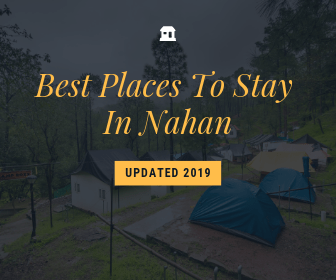 Opting from more than 39 other competitive destinations for the perfect weekend getaways near Delhi, this choice was a little tough to come by. The Pine forests here are lush green with comfortable temperatures all year round. There’s enough to do at Camp Roxx if you’re planning a trip with either your friends or family. Choose from adventure activities, a trek to the top of the mountain for splendid views or just plain lazying around at the natural stream at the campsite. Since the place is an exclusive property, it is 3.5 kms off the main road which shuts all distractions from upcoming Nahan-Shimla Highway, NH-6. 2. Landsdowne (Pauri Garhwal District): – 279 kms. Landsdowne is a beautiful little setting in itself. Sure, the place has become a favorite corporate destination for team outings etc. but it is also a great place for you to spend with your kith & kin. An advantage about Landsdowne is that it is only 245 kms. from Delhi which makes it an amazing spot for lazing around on a weekend. You could take a stroll in the surrounding oak & pine forests, go for trekking, do bird watching, boating or simply do nothing. Originally derived from the name of Lord Landsdowne (Viceroy of India 1888-1894), the town stands at a altitude of 1700 mts. above sea level. 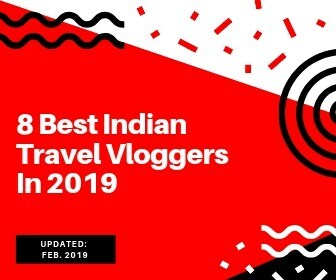 Whenever you visit this awesome weekend getaways near Delhi/NCR, make sure to drop by at the Bhulla Lake, St. Mary’s Church (oldest church in town), Tip In Top (the best spot in Landsdowne to get amazed with the splendor of Himalayan range). The Himalayan peaks, Chaukhamba & Trishul are visible from here. Visit anytime after the summers to avoid rugged weather. January is the coldest month. Accommodation options are plenty yet again as the commercialization has upped a bit in past few years but we recommend either Oak Grove Inn or Fairydale Resort. 3. Kausani (Bageshwar District)- 417 kms. The uncanny resemblance between the Kausani Hills & the Swiss Alps is something that was admired even by Mahatma Gandhi himself who called it “Switzerland of India”. Well, there are many others that eventually got called similar names (Khajjiar- Mini Switzerland of India). This hill station stands at a great height of aprrox. 6000 ft. above the sea level. The hills Trishul, Nandakot & Nanda Devi are quite clearly visible from here & the mountains seem to almost touch the sky, making it one of the more picture perfect towns around in that district. This one is around 410 kms from Delhi, so it’s not really a weekend getaways near Delhi. But it is unarguably, one of the best hill stations that has not been destroyed by malls & commercial outlets. Reminder of the simpler times, I found it easy to put my thoughts to paper there because of the surrounding serenity. 4. Munsiyari (Pithoragarh District)- 571 kms. Munsiyari is a tucked away little tehsil in the Pithoragarh District (Uttarakhand) and is considered to be the base for many intense treks of the Himalayas. The name literally means “place with snow” and is surrounded by beautiful snow capped mountains. The hill station located on the banks of river Goriganga is fast becoming a wanted tourist destination for mountaineers, trekkers, glacier photographers & of course nature lovers. This isn’t exactly the kinds where you’ll want to head over the weekend but it IS a place to visit before you visit any other destination as such distance (650 kms from Delhi). The treks will offer you beautiful views of Panchhuli snowfields. Since it is etched in the inner lines of Himalayan range (between borders of China, Nepal & India), the access is restricted. The place is generally chilly all year round because of its height – 12,000 ft. +. 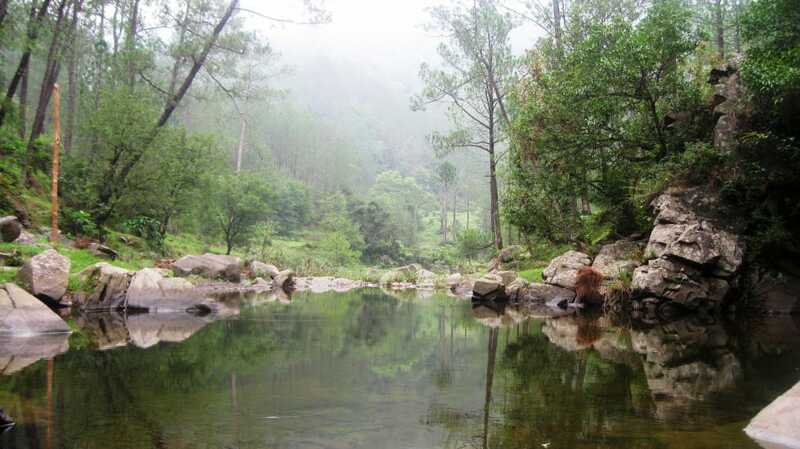 This place is still undiscovered & except for the Monsoons, any time is good to visit. Bilju Inn is perhaps the best choice for accommodation in that area. Do not expect high end luxury resorts or similar in that area, Munsiyari promises lovely landscapes & treks, not finely furnished bedrooms. 5. Binsar (Almora District)- 380 kms. 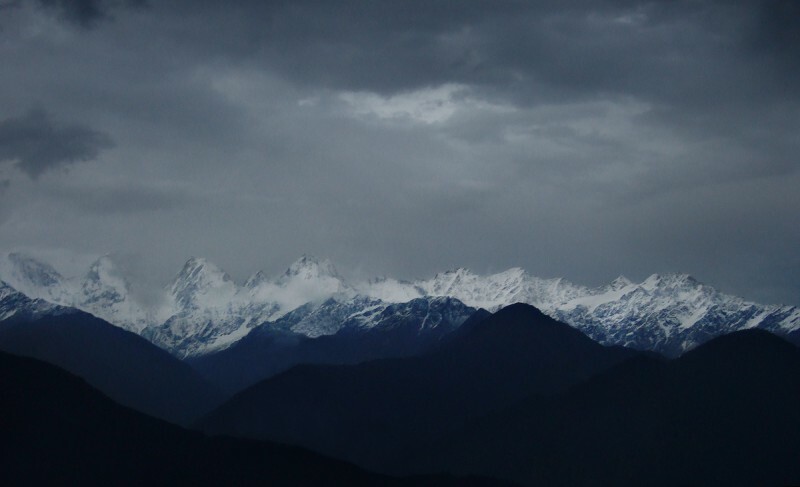 Binsar is a treat as compared to other hill stations in Almora district. Located in the Jhandi Dhar hills in Kumaon and offers fantastic views of the Kedarnath, Nanda Devi, Panchachuli & Nanda Kot. The forests are full of rhododendron & oak trees and are home to more than 200 species of birds & wild animals like Flying Squirrel, Musk Deer, Langur, Barking Deer etc. Some of the other places I liked visiting during my trip there are: Chitai Temple (Golu Devta- 44 kms), Gananath (30 kms), Bageshwar (60 kms) & Katarmal (40 kms). The climate all year round is quite nice & tolerable with temperatures fluctuating between 11 degree centigrade to 29 degree centigrade in the summers. You might want to consider Mountain Resort-Khali Estate or The Binsar Retreat while traveling with family. Truly, a great weekend getaway near Delhi. 6. Shoghi (Shimla District)- 331 kms. 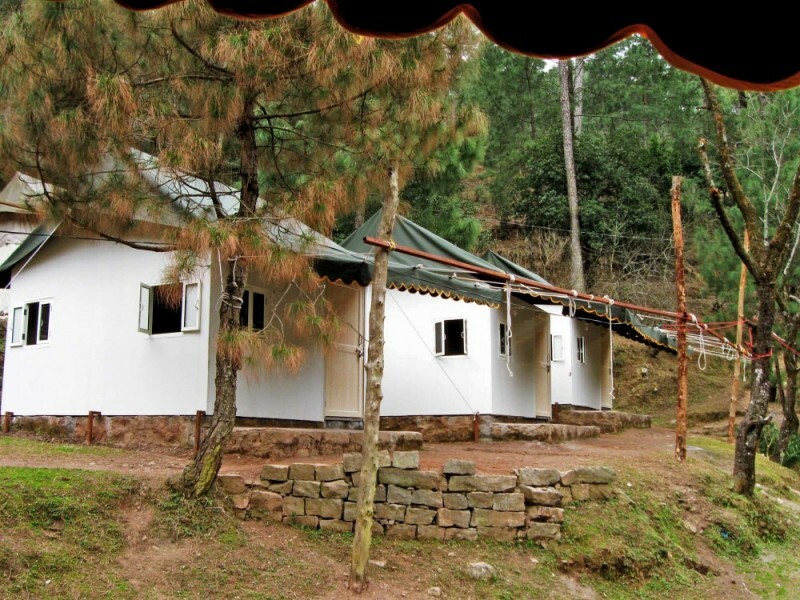 Shoghi has been home to corporate weekend getaways near Delhi, family outings & honeymooners for a while now. This place even though not a full fledged hill-station is a great place to head over on the weekend with friends & family alike. The small village lies just 13 kms before Shimla on the Ambala-Shimla Highway. If you’ve chosen this as the weekend getaway near Delhi, then you are sure to have one of the most relaxing mini-vacations. It’s sad that majority of the travelers from Delhi never realize the truth or concept behind offbeat travel and end up going to city like so called “hill stations”. 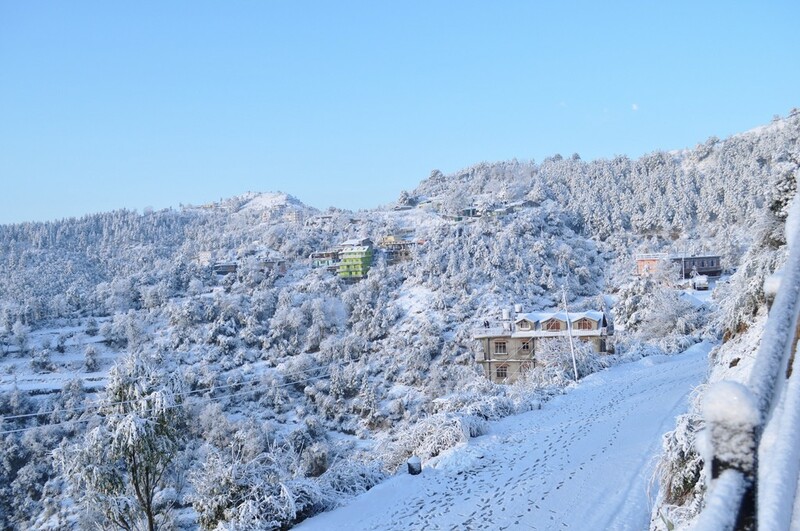 Shoghi is just one of those offbeat places that has managed to emerge as a hands down quality vacation spot for people of all ages. Honeymooners might like the cozy cottages at Park Woods Shoghi, which is our recommended place of accommodation during your travel. 7. Pithoragarh (Pithoragarh District):- 491 kms. Pithoragarh is a quiet little city tucked away in the Pithoragarh District (Uttarakhand). 463 kms away from Delhi, the place is famous because of its location in the valley “Soar” (meaning Cool). It lies in the center of 4 hills: Chandak, Dhwaj, Kumar & Thal Kedar. The views from the city are compared with those of Kashmir on a miniature scale by the locals & travelers. The average elevation level is at roughly around 5000 ft. which makes it a must visit in the summer for Delhi people. The town is also more popularly known as the gateway from the North to the Himalayas as pilgrims trek through to Kailash, Lake Mansarovar & Om Parvat. You’ll find many accommodation options, mostly in the form of guest houses which can be enough. Otherwise, the better known accommodation there is Pine Riviera Camps & Resorts, for a more luxurious stay. Mark this one for the longer holiday duration because of the distance & current condition of the roads (quite bad in patches!). Take some time to cool off at this weekend getaways near Delhi! 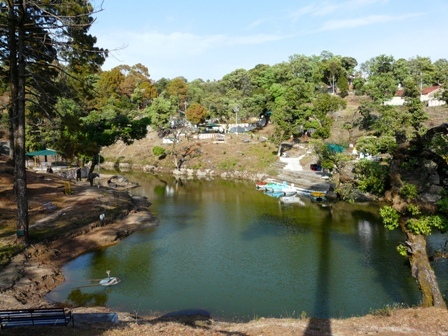 Funnily enough, it has been alternatively known as the “lake of nine corners” in Nainital district from the times British had held us captive. The beauty of this place is something to die for. The quaint little town of Naukuchiatal has amazing weather from the months of June to Oct. You’ll read many people telling you April onwards is a good time and you can safely take their word for it. I highly suggest the Lake Resort for your stay. The budget might seem shoot up than your other stays but it’s well worth the buck and the amazing experience you’ll get for the next 2 days. For the upcoming winter, this place could easily be the favorite hangout getaway of all those Delhi folks who enjoy a little bon-fire on a chilly night, some Old Monk and a gang of friends to go. Situated in Rajasthan, the town of Mandawa is really small and full of it’s cultural heritage like many other places in Rajasthan. I suggest you plan a trip in one of the long weekends this year before it’s too late. The best time to visit is between October & April. If you’re still to experience a stay in a castle, this place will leave you feeling super duper royal. One can go bird-watching or visit amazing palaces and castles that have stood their ground as it is from the day they were built. nice information. can you provide some more details on whom to contact for Kangojodi (Sirmour District)?? Hi Monica, we are more into independent trips (not fixed departures) with friends, colleagues or family and are open all year round. We would love to serve you at our camp. Feel free to drop me a mail for any further information or call on: +91-9911024426. 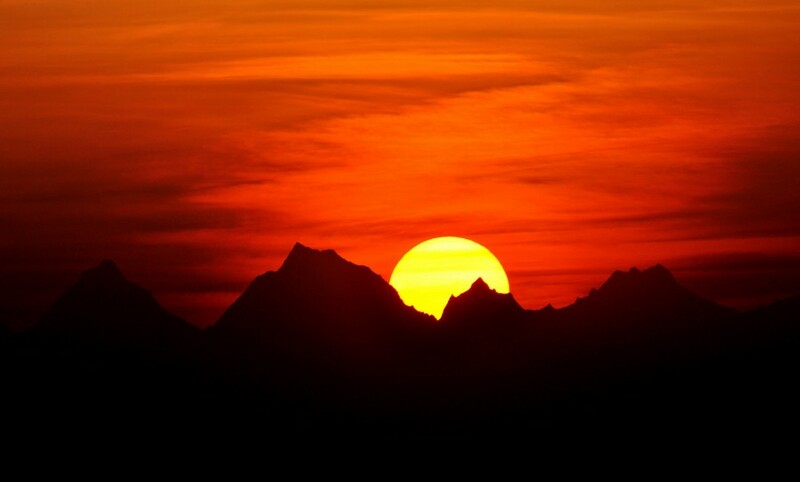 Hi What about Chindi in Himachal. Shimla – Manali road. what is the best place to stay in Kasauni and approx time to reach by road? Hi Amit, I’d suggest you take a look at the reviews of some hotels on TripAdvisor.com and decide accordingly. There’s not much to do except enjoy a beautiful scenic view & visit the Gandhi Ashram. Since you have entered destination ~500 kms away from Delhi then why not delve into architectural and beauty of Rajasthan (Mandawa – 260km, Kishangarh – 363km, Bhangarh – 253km) or wilderness of Uttar Pradesh(Lakhimpur Kheri – 422km) or simplicity of Haryana (Kurukshetra – 170km). Not every explore seeks moksha in the hills. Hi. Nice and informative website. I am new to Delhi. It would be really helpful if you can suggest locations around Delhi which can be trekked within a day’s time. I’m looking for a peaceful option. Something like, leaving early morning from Delhi, and returning in the evening. While I was in Maharashtra, I used to go out almost every weekend to the western ghats. Ever since I have been in Delhi, I have lost the momentum of visiting the hills or mountains because of the jam packed city life. I would love to take a break each weekend provided there are good options. Thanks. Hi Sumeet thanks for the gateway in north India. can you also put some great places in south India?